Any artist will tell you, drawing in pencil never loses its appeal. It is an amazing medium for an artist to use. 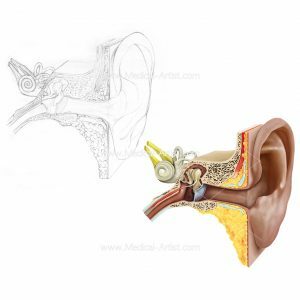 Medical artist Joanna Culley usually uses graphite pencils when first sketching out any medical drawings or trying out various compositions ready to show the client at the beginning of a project. The sketches or drawings are not all line, as various techniques are used to build up the sketch such as cross hatching, scumbling which involves moving the pencil back and forth in small circular motions, stippling which is a shading technique with small circles almost like dashes, and of course varying the weight of the line whether it’s dark heavy lines or lighter lines to give the impression of both contrast and distance. 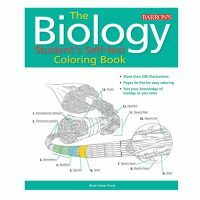 There are also many drawings books or different types of drawing paper that can be used and this will also affect the look of the final drawing. This is because papers all have what is known as a ‘tooth’ which is the surface texture of the paper. This can range from rough to smooth and the type of paper as well as the types of pencils can produce a whole new look and feel to a drawing. Joanna usually used a rough toothed paper and HB pencils when first sketching as this produces darker lines on the paper which show up well when scanned and look clear once emailed to the client. Pencil sketches are always produced as the start off point for all medical illustrations. 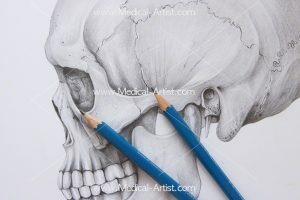 This is because at Medical-artist.com, our commissions are unique to each customer and require a ‘drawn from scratch’ perspective. Initial sketches are created as more simple sketches because they are open to change, they are sent to the client to test ideas and to allow the client to give feedback. New rounds of sketches can then be completed at a quicker rate and therefore are extremely good at showing the client initial concept ideas and allowing feedback to be incorporated into new rounds of drawings. We find that if we get clients feedback at the very first stages it produces a much better result and one where the client has been able to have an input. We are after all taking our clients ideas and bringing them to life. Some clients commission us to create highly detailed medical drawings so this is where the artist will take the drawing from scratch and carry on working on it right through to when it is highly detailed. The client may want a highly-detailed pencil drawing, in which case the simple pencil drawing can be elevated to a more masterful level. An artist can build in new levels by adding in form achieved through shading, blending, adding tones of dark and light and using different shading techniques and different paper textures. 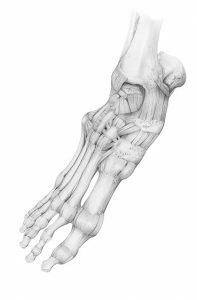 For medical art especially measuring the dimensions of a subject accurately while blocking in the drawing is an important step in producing a realistic rendition of the anatomical subject. More intense labour into the drawing and attention to detail can then produce a highly-detailed piece of medical art which is ready for the client to use in their medical communications. Pencil may be one of the simplest and most efficient means of communicating visual ideas, but because drawing is a form of expression this can be captured in the finished pencil drawings. If rendered correctly, a pencil illustration can encourage an emotional response. This is achieved by highlighting a ‘meaning’ using tone or bringing more character to the illustration and one that can match the needs of a client’s individual project. As well as emotion because of the pencils soft aesthetic qualities, it is especially useful when used in patient education projects when aimed at younger children or the teenager for example. An artist can use the pencil medium to create an illustration that has soft and feminine tones, and can be used to highlight one focal area or build up a scene to surround it. Each artist will have their own style but each artist can also adapt or hone their techniques to produce work that varies and matches the need of their clients brief. 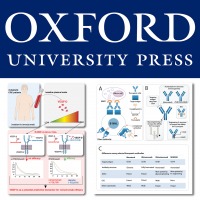 Our pencil art has been used in medical marketing, online marketing and in patient education brochures as this traditional method has a universal appeal across all continents. If you want to commission art in pencil then please don’t hesitate to get in contact.